Should we be Taking Student Government Divestment Votes Seriously? While I take a back seat to no one in expressing glee when some SJP/JVP-sponsored student government divestment vote goes down in flames (not to mention burning with rage when such votes go the BDSholes’ way – especially when they cheat), it might be time to stop tracking success or failure of the BDS “movement” (or Israel’s standing among the young) based on what a handful of Student Senators say or do. Regarding condition (1), given that college Presidents, Boards of Trustees and investment managers have been saying “No!” to BDS calls since the start of the Millennium, it’s pretty safe to say that the number of schools actually considering divestment from Israel continues to stand at zero. In fact, during a BDS era that stretches back close to two decades, college and universities have been falling all over one another to build or strengthen partnerships with their Israeli counterparts (many of them investing – rather than divesting – millions into these relationships). And keep in mind that during this same era, schools have joined divestment projects – targeting Sudan and Iran – for their genuine human rights abuses vs. the fictional ones ginned up by BDS activists against Israel. So it’s not that colleges and universities are loath to use their investment portfolios to make political statements. Rather, their loud condemnation of student calls for BDS – often within hours of those calls being made – represents their rejection of the political snake oil the boycotters continue to peddle. Regarding condition (2), as recent history has shown, school administrators are loath to show disrespect for student opinion, especially if that opinion can plausibly be said to represent the actual will of the majority of the student body (or at least a large minority). So the fact that those same administrators are ready to tell Student Senates to shove their BDS resolutions where the sun doesn’t shine (or something to that effect) means they know what the boycotters also know: that student governments pass divestment votes in spite of the fact that those votes do not represent wider student opinion. 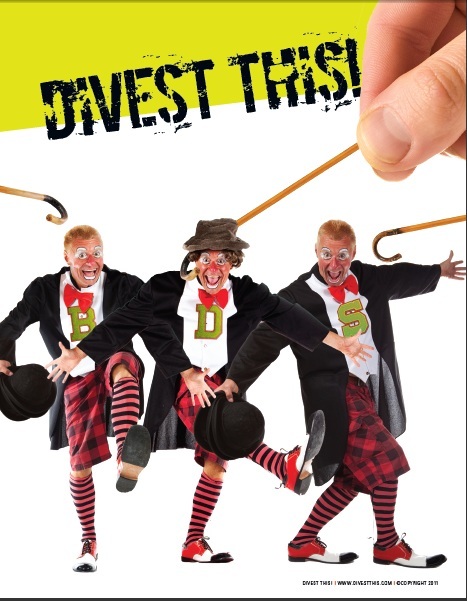 Much has been made of recent last-minute divestment votes announced or taken during the Jewish holidays. Beyond the underhanded nature of sneaking such votes in while political enemies are celebrating religious holidays, this sort of behavior also represents an admission by cynical BDS activists that they could never win a fair fight for the simple reason that student opinion is not on their side. If it were, you’d see student pols running on BDS platforms, informing voters that this would be their top priority if elected. Instead, you only see pro-divestment votes being cast by ignorant Senators brow beaten by the boycotters throughout grueling all-nighters, or stealth BDSers who run for office with the sole purpose of passing divestment measures (who then leave office if they get – or don’t get – their way on this one issue). In fact, on one of the few occasions when Israel has played a role in a campus election, the result was a rout for divestment supporters. So if pandering administrators and normally indifferent students are all comfortable telling the boycotters to take a hike, why should any of us be still getting bent out of shape when a gaggle of Students for Justice in Palestine types manage to squeak through a “victory” by getting an impotent divestment resolution passed that is guaranteed to be ignored? One Response to Should we be Taking Student Government Divestment Votes Seriously? Maybe university fund managers should be paying attention to this: https://www.algemeiner.com/2017/04/26/invest-in-bds-boycotted-companies-make-lots-of-money/ –over the past 52 weeks, companies listed on BDSlist.org gained 50% in value! Perhaps they would best carry out their fiduciary duties by INCREASING investment in any company targeted by a student BDS resolution on their campus.